The Evangelical Free Church of Australia (EFCA) is a Christian church in Sydney Australia. You can find our more about the church through this app. iPad version is now available. Information about the church. You can use it to phone and email the church easily. Information about each Sunday worship service. It provides information about the time, language and address of the Cantonese, English, Mandarin and SWITCH service. Interactive map. It provides a map showing the location of each worship location. You can use it to pinpoint your location relative to it. Church online resources. Convenient access to the church web site and podcast. The Cantonese podcast site is 'mobile friendly' which provides a more user-friendly experience. Sunday service bulletin. This feature is currently disabled. 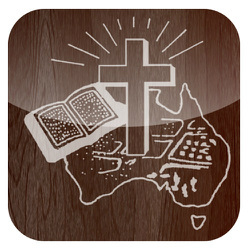 The plan is to make the Sunday Service Bulletin or some of the information in the bulletin available through this app.